Play it smart and if you are nervous, then just modify the exercise to a form you might be comfortable,with. I was also skittish of burpees and mountain climbing-- too much jarring around. And going from exercise mat work to getting up. Whoa! Taking the position of -"easy does it" will serve you well. Just listen to your body and don't push yourself, but don't be afraid to try! Good luck. Thanks puppyfitz. I am more or less back to my regular cardio routine. There are some exercises I haven't felt comfortable getting back to. For example dead lifts, burpees, or even crunches. I am afraid of moving my head too low or up and down too quickly. Have you modified any of your workouts to avoide moving your head too much? I had a major BPPV attack months ago-- ambulance, ER, the whole shebang, and now meds as needed, thankfully only a little for dizziness After experiencing that, I FULLY understand any hesitation to do something to experience any of that again! That said, I encourage you to certainly proceed with caution, but do not let it immobilize you. 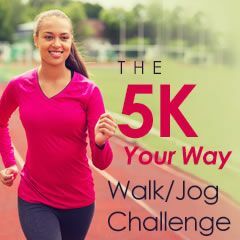 I would suggest a strong walking regimen that eases you into some interval running, and increasing with each next day ...so you can certainly tell if the jarring from running will bother you. If you are very concerned, then make sure you have your dizziness med with you (Antivert?) and maybe an emergency contact ID attached to your shoe...just in case, but also for peace of mind. FYI... I have now returned to 3 days of cardio bootcamp and 2 days of Aqua aerobics, and am in my early 60's. We need to break through our health barriers now to better insure we are in good shape in the decades yet to come!! Hope this helps. Thanks. Yes I need more info from doc. The one I saw only told me to hold off for a few days. I am learning how to stay well. I think running is ok. Now, some of the stretches when I need to lower my head are not a good idea. I think you should check with your doctor asap. If it is ear related then I think it has something to do with your balance. I think you should slow down and get some clearance from the doctor. Anyone have any experience with vertigo? They said it has to do with some inner ear stuff and to be careful how I move my head. I plan to get back to exercise slowly. I'm starting with walking. So far my slow pace is not making things worse, so I'm proceeding. If any of you know anything about this please let me know.